Do you have a creative child interested in the moving image? Does your child watch films or YouTube videos over and over again to understand the mechanics or plot? 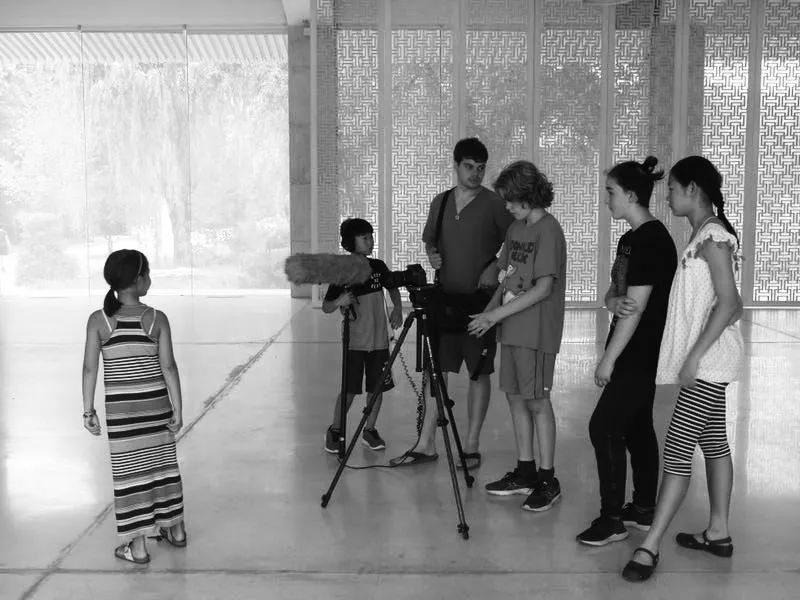 Then why not nurture their inner Sofia Coppola with The SLab Beijing’s Movie Making Summer Camp; a one-week immersive program scheduled from August 20th to the 24th (Monday through Friday)? During this course, your child will learn to write screenplays, learn new and different film-making techniques, learn about pre-production and production, and also learn some useful technical terms. Finally, they will act, direct and film a short video work independently in teams, instilling a strong ethic based around teamwork. During the course, students will be taught by Gianluca Infante, a CCTV award-winning screenwriter, director, and producer, as well as through surprise visits from producers and industry guest speakers. After the weekday instruction, students will have final films to play at a screening open to cast, crew, friends, and family during an upcoming weekend event, details to be announced. 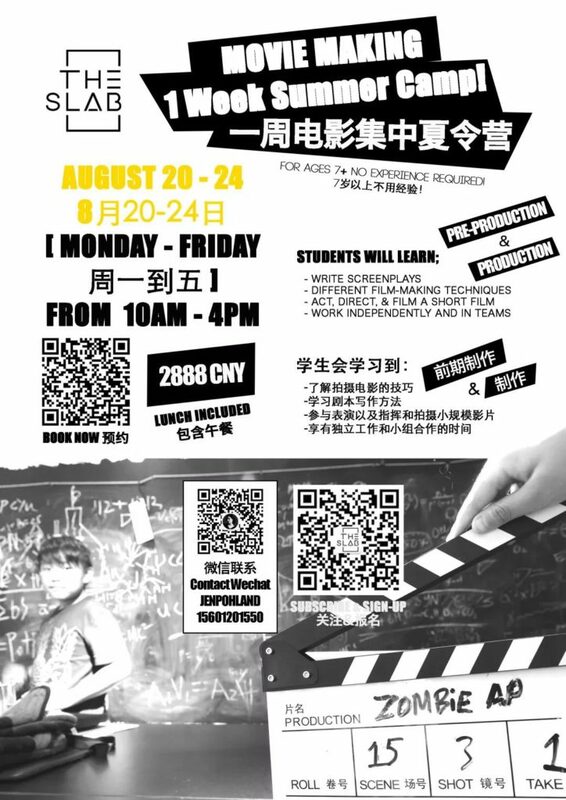 The price for the one week program, which includes lunch and all materials needed, is RMB 2888. The program is designed for ages 7 and above. No experience required. Classes are in English with supplementary Chinese. Students can bring in their own devices like iPods, iPhones, or iPads for filming their mini projects. Time and places are running out for this month’s program, so scan the QR code above or click here for more information, or to enroll your child in this fascinating program. Happy filmmaking!